Where does our confidence come from? How can we go out boldly and share Christ with confidence? God not only saves us, God IS our salvation. It makes sense then that God Himself should be the ultimate source of our confidence when we are sharing about His great salvation. We can trust that God is working in us and the people we speak to about Christ. “Behold, God is my salvation; I will trust, and will not be afraid; for the LORD GOD is my strength and my song, and he has become my salvation” (Isa. 12:2). God works together as Father, Son and Holy Spirit to perform our salvation, to be our salvation and to bring men and women to salvation. Sharing the gospel works because God works when we share the gospel. Our confidence is in God —God the Father, God the Son and God the Holy Spirit. The plan to save mankind starts with the Father’s great love for us. Therefore, we can be assured that salvation is God’s plan, and because of that, He wants to work in and through us for His glory. “For God so loved the world that he gave his only Son…” (John 3:16). 1 The Father in His love chose to send His only Son to die so that sinful men and women can have eternal life (John 3:16). 2 The Father lovingly decided to adopt people as sons and daughters through Jesus Christ, so that He can give them every blessing He has (Eph. 1:3-6). 3 The Father draws people to faith in Christ and reveals the truth of Christ to men and women (John 6:44; Matt. 16:17). Jesus has been given all power and authority in Heaven and on earth. Therefore we do not need to be intimidated to speak on His behalf because the most important person has granted us the authority to preach the gospel in His name. “All authority in heaven and on earth has been given to me. Go therefore and make disciples of all nations, baptizing them in the name of the Father and of the Son and of the Holy Spirit” (Matt. 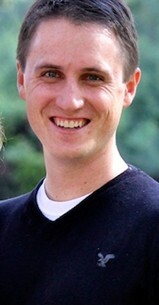 28:18-19). 1 Jesus is using His authority and power to draw men and women everywhere to Himself (John 12:32). 2 Jesus gives us His authority to preach the gospel (Matt. 28:18-20). 3 Jesus has made us ambassadors—so much so that it is like God Himself is speaking through us (2 Cor. 5:20). It is the power of the Holy Spirit that saves people and helps them grow in Christ. Therefore, we get to partner with His work when we share Christ, and the pressure is not on us to perform. witnesses in Jerusalem and in all Judea and Samaria, and to the ends of the earth” (Acts 1:8). 1 The Holy Spirit convicts people of the reality and gravity of their sin (John 16:8-11). 2 The Holy Spirit testifies to people about Jesus (John 15:26). 3 The Holy Spirit empowers believers for bold, courageous & fruitful gospel proclamation (Acts 1:8). 4 The Holy Spirit inspired the writers of Scripture in such a way that it is God’s Word and is powerful to accomplish God’s purposes in people’s lives (Heb. 4:12; Isa. 55:11). Take courage from the fact that each person of the Trinity—Father, Son and Holy Spirit—is actively at work in your salvation and in bringing other people to salvation. Delight in God’s presence with you. When you share Christ, you are never alone. God is with you and all around you. God is already working in the hearts and lives of unbelievers. This is why Paul called himself God’s coworker. In I Cor. 3:9 it says that we too co-labor with Christ when we speak about Him. Consider this high calling. Reflect on this privilege of having fellowship with God as you join Him in the work He is already doing. As you share God’s truth, be encouraged by God’s presence with you! One of the most strategic evangelistic organizations to emerge in recent years is the California School Project, which, by the way, has officially outgrown California and branched out to do work in Chicago. If you are connected in any way to public high schools in Los Angeles or Chicago, check this group out and consider partnering with them. I think if you read about the effectiveness of their approach and the professionalism of their staff, you’ll be inspired. This excerpt is from the Outreach Guide they have developed. 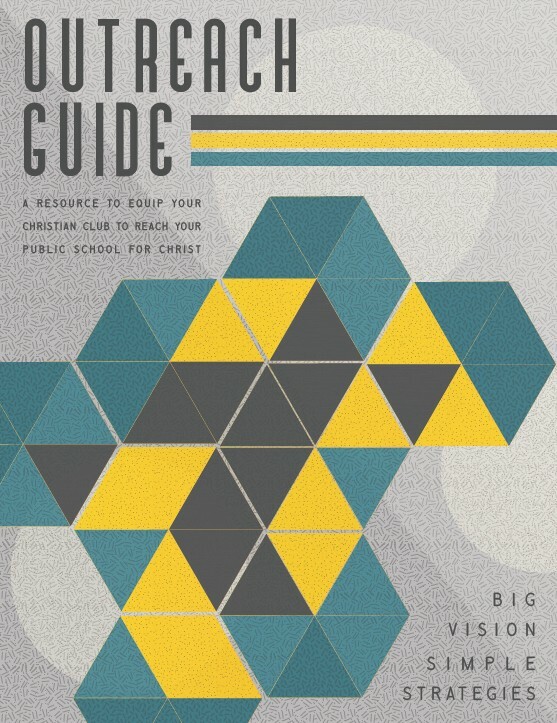 The Outreach Guide is well designed (largely the work of Kellee Popp, a 2007 Biola graduate) and packed with everything from theological teaching to legal advice and organizational strategies. This “trinitarian confidence” section was written by Mark Hopson, director of CSP’s Chicago Opportunity, with a little consultation from me back in 2011. Hopson is a graduate of the Torrey Honors Institute who took my class on the Trinity while he was here, and I like to think that his approach to “trinitarian confidence” in evangelism has been informed by my way of putting things in The Deep Things of God: How the Trinity Changes Everything. The California School Project team is carrying out in the real world of practical ministry what I get to talk about in books and lectures here in academic land.